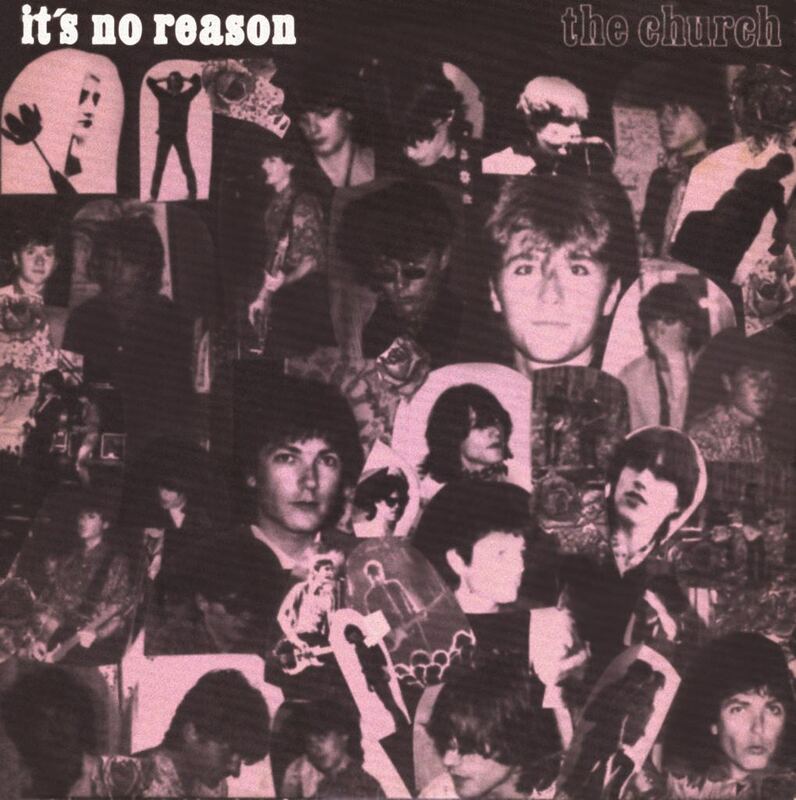 As The Blurred Crusade was taking its final bow in the spotlight, the church were already in the studio recording the Sing Songs EP. A pattern was emerging – make an album, make an EP. The band needed to get into the studio often, if only to keep up with Steve’s prolific songwriting. Sing Songs was released as a stopgap in the same way as the double single that preceded The Blurred Crusade. The fog of success surrounded us, life was a blur and it seemed difficult to keep up with everything that was happening. Our videos were on television and we were getting airplay from our last Australian hit. Our first two albums had been released in Europe so we were traveling internationally. 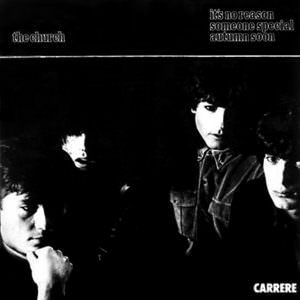 Carrere Records in England had bought us on to the Duran Duran UK tour thinking that this was the best way to achieve exposure for the band. It was a short and embarrassing ride and after about five gigs of being ignored by Duran Duran’s teenybopper fans we left the tour to the fury of the label. Performing for 3,000 kids a night who just didn’t want to see us was nothing less than painful and having an introspective lead singer while Simon Le Bon waited in the wings meant we didn’t stand a chance. Our grueling schedule probably explains why Steve alone wrote all of the real songs on the album. We were never in a place long enough to set up, chill and write. Steve was at least able to get into his music room now and again, late at night or the odd day in-between the band’s busy diary. He was the only one who had this facility and he was in there at every opportunity creating stark demos with his Teac 4-Track, a Roland Rhythm Arranger drum machine and whatever stringed instrument or keyboard that may have been laying around. 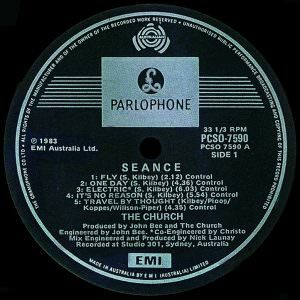 Consequently the writing input of the band on Seance was restricted to one psychedelic space rock jam, ‘Travel By Thought’, that consisted of squealing guitars, chunky riffs and a jungle beat over which Steve pumped out a stream of consciousness and an echoed sing/speak vocal. In Steve we had a capable songwriter. He always had another cassette of his latest tune to play us and we listened attentively in the car on the way to gigs. When the time came to record Seance he had already written more songs than we needed. The only question was who were we going to work with on this new album? Who could follow Bob Clearmountain? Steve thought we should produce it ourselves. By this time the whole ATV production deal had been renegotiated and we were now signed directly to EMI, so we were dealing with a new hierarchy and chain of command. They were happy to have us because our records had been selling well enough but they weren’t quite as enthusiastic as Chris Gilbey and Don Bruner; the people who had discovered us and helped us, gone out on a limb for us. But Steve managed to convince them that we could go into the studio with John Bee, who had worked with us on the previous two albums. He assured them that we would be able to take responsibility creatively and save the expense of a producer. The Bob Clearmountain experience had made us feel like we could look after most of the arranging and performing ourselves. John had capably engineered lots of great records including some of ours and we worked well together. EMI agreed to this set up and incredibly we were let loose at Studios 301, but this time we were producing and we would be making the decisions. Or so we thought. 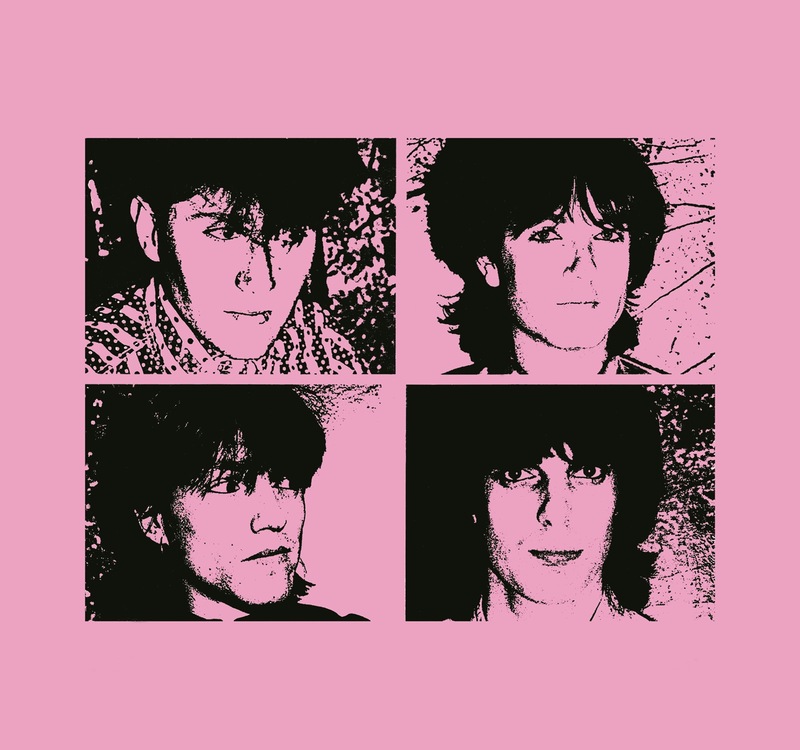 We started recording the album at the beginning of the Australian summer of 1982/83. As far as I remember we hadn’t played any of these songs live and we didn’t go into a rehearsal studio to learn them. In fact we learned all the songs from the demos and became acquainted with them in the studio; all we had to do was work out how best to record them. Overall these songs were more melancholy than those on the previous two albums and Steve had a lot of ideas about moody strings and keyboard parts that he subsequently arranged and played on the record. He was quoted sometime later saying, “This is where the church and Rock and Roll parted ways” and certainly the more angular rock guitars were missing from this record. The album opens with the short moody acoustic ‘Fly’. These two minutes of dark ashen evocations strike up a mood that rarely leaves the album. 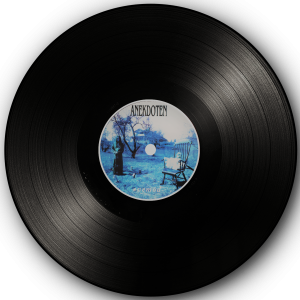 The story of the album begins with images of unrest, “Tossed and turned on a teardrop sea” and impending doom, “Hastens off to some unknown death”. A fan made an atmospheric film clip for the song purely because he liked it and we included it on our video collection released later in the decade. The dissolve between ‘Fly’ and the second song ‘One Day’ is where the sonic qualities of the album become evident, although ‘One Day’ is a rare respite from the heavy atmosphere that pervades most of the record, reveling in its own joyous abandon. An electric riff slices its way through the song from beginning to end. Steve had been experimenting with the idea of an unchanging riff playing all the way through a song. While the other instruments change chords around it, the original riff would remain the same. This theme occurs throughout Seance; in a more haphazard way on ‘Travel By Thought’ but ironically in a more disciplined way on the only real Rock and Roll song on the album ‘Dropping Names’. It also occurs on the final track on the album a distant nod to Ravel’s Bolero, ‘It Doesn’t Change’, the trick given away in the title. By the time track two on Seance ends, despite a lyrical rejoinder back to ‘Bel-Air’ in the fade, it is clear that the band has taken an unexpected turn. The first album sounded different to the second but on Seance the sonic jump was even more pronounced. Although in this case we produced the album ourselves (with John Bee), we had little to do with the end result. EMI let us self-produce the record but they decided that someone else should mix it. They were paying for the project, so we had no choice but to go along with the idea. EMI suggested Nick Launay, a maverick English mixer, engineer, producer who had worked with PIL and more recently with Midnight Oil on their 1982 album 10,9,8,7,6,5,4,3,2,1. He transformed their sound, adding a slew of bangs and crashes never heard before on a Midnight Oil album, transporting them into the modern era from their ’70s surfing scene roots on Sydney’s Northern Beaches. Nick’s mixing techniques were the complete opposite of Bob Clearmountain’s. The main difference lay in how the drums were processed after they were recorded. Bob was more known for an American sound; record the drums, then make them sound like buffalo stampeding through the Grand Canyon. They sounded big but they sounded natural. Nick had a less traditional, English approach – take a snare hit, add a sample to the original sound, or replace the original sound altogether; then heavily process it. Consequently every snare hit was exactly the same. It sounded like a garbage truck mangling metal whilst simultaneously being thrown by a robot against a garage door. This was the decade of drums and to me looking back at the ’80s, producers and engineers have a lot to answer for. Fashion designers are also guilty! A lot of bands tended to be at the mercy of the man who knew how to manipulate the studio equipment. Producers and engineers had been so enamoured by advancing technology that they forgot to be sensitive to the music they were supposed to be enhancing. They started to experiment on unsuspecting drummers who didn’t know their gated reverb from their front gate. Band members found themselves as passengers in their own vehicle and someone else was driving, careering headlong over a cliff to their own stylistic doom; all you could do was sit there helplessly and watch it happen. A recording studio can be an intimidating place and you often didn’t know exactly what was wrong, you just knew it wasn’t right. In the mix, we expected the snare drum to sound natural; the way we were hearing it during the recording. Richard had little input into how his drums sounded overall; he just played them. It was difficult for us to communicate any ideas we might have about how the drums should sound, not that we were given the chance! The album was mixed in Sydney. However only Steve was allowed to go to the session and then only when it was pretty much finished. Steve had his vision of the album dashed overnight. And what could he do? There was room for some small adjustments but the die had been cast. After some superficial changes to the mixes we all had to accept that this was it. We all felt the same way about what we heard; Richard was frankly stunned. The tracks sounded so far removed from where they were when Nick was handed the multi-tracks. Only later did I realize that this is what he was hired to do – produce the mix as he saw it! Nick’s credit on the album was ‘Mix Engineered And Produced By Nick Launay’. But can you imagine how the machine gun snare on ‘Electric Lash’ sounded to Richard when he heard it for the first time? We wondered how Nick Launay could make changes as substantial as this without considering the opinion of the band. Surely he was taking liberties with our music. The problem was that no one had thought to discuss his approach with the band. Nick didn’t seem to understand we were about the guitars, not the drums. But I think it was simply a case of the label buying into the latest thing. It didn’t really matter if it suited us or not. It hadn’t been established that the church wished to control their own musical destiny (heaven forbid! ), not share a world with contemporary artists looking for the latest gimmick to make them successful. Listening back to Seance now I must say that I’m finally used to it. But on first listening we were somewhere between shocked and horrified! Interestingly, records from the ’60s and ’70s don’t seem to suffer the same sonic faux pas. Only in the ’80s were the drums becoming the dominant instrument, obliterating the song and its nuances. Of course, there are exceptions and memorable music exists in every era and in every genre, but in a rush to sound contemporary a lot of bands of that time sounded hopelessly out of date shortly after lunch, having spent the morning being nothing less than groundbreaking. Understanding that we wanted a say in relation to our sound and general exploitation of the band was a recurring problem for the church throughout our tenure to major labels. In this case, too much money had already been spent to consider remixing the album and maybe, just maybe, this was an interesting direction after all. But the tragedy of the ’80s was the misrepresenting of people’s art. It was years before anyone asked if an Albanian folk trio really needed to sound like a Jumbo Jet. I later became friends with Nick and we discussed the leap from Bob Clearmountain to him in terms of sound. As the years went by, Nick’s drum ideas became much tamer, heading towards a more American sound, whereas Bob went the other way. By the time I got to know Nick, the sound of Seance was well and truly accepted as an example of another church tangent. I came to the conclusion that the ’80s was just a phase that music was going through; an unsubtle, insensitive and at times, tasteless phase. Ultimately we were able to live with the strange series of events that took Seance from being our baby, to someone else’s demon child and to our astonishment the real fans of the band loved it. They got over the inappropriate drum sounds quicker than we did and were entranced by the atmosphere. 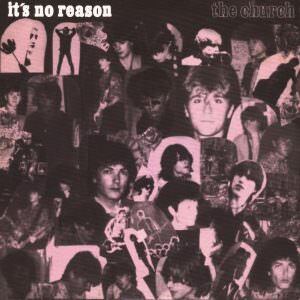 It became the favourite church album for the discerning church fan for years to come and to this day is mostly considered one of our top three albums. Around the same time, Kate Bush released The Dreaming, also through EMI, and the record was such a departure for her sonically, that it didn’t do as well as expected commercially. It had the same sonic darkness as Seance. But what the album achieved was to secure her legacy as an artist first and a commercial enterprise second. The difference was that she had planned to make a record that sounded like this. One of the engineers on this groundbreaking album was Nick Launay. What EMI couldn’t have imagined was that Nick’s dark production and crashing samples made us sound even more mournful and distant, almost gothic, industrial at times. The band sounded much more left of centre than The Blurred Crusade and this was largely due to Nick’s mixes. We had thought we were producing our own album but the project was taken out of our hands after we’d finished recording it. And quite deflating it was too. But with hindsight, Nick may just have injected the album with the fire that it needed. I don’t think we quite knew how to get convincing performances out of ourselves as a band, and Nick’s approach defined us much better than we might have been able to do, left to our own devices. He was one of a skilful, innovative, pioneering, new breed of sound engineers, discarding the old school methods and ushering in new techniques of sound production such as sampling, triggering sounds, gated reverbs and the concept of bringing drums to the fore. We were swept up on that giant wave that tore through the ’80s and we were left with an album that sounded completely different to how we had imagined it. Luckily for us, it wasn’t to our detriment unlike so many bands of that era. The first single from the album was the moody threnody ‘It’s No Reason’. The saturnine organ part complemented Steve’s desolate vocal perfectly. When the band came in on the second verse, it was punctuated by Richard ‘as machine’ playing a mechanical drum pattern, alongside stabbing acoustic guitars that gave way to flowing open chords. The strings sounded like they had been recorded on the Berlin Wall. The single was accompanied by an equally bleak post holocaust video, filmed by the introspective Melbourne art student Richard Lowenstein. He was attaining a reputation as a talented and creative filmmaker. He was a man of few words, with an artistic temperament but he definitely had a vision. We dressed in rags, covered ourselves in dirt and with some gothic looking, dark eyed mistresses from St Kilda, made a film clip that made Bauhaus seem mere pantomime. (St Kilda was Melbourne’s inner city suburb where all the budding underground anti-stars such as Nick Cave hung out). The video was pure art. The images brought to mind World War II stock footage. It was hardly light entertainment. It was as if the label, in attempting to steer us towards greater commercial success, managed to spectacularly achieve the opposite, by putting us together with the darkest of mixers and the most left field of video clip makers. Perhaps it was just that the church’s raison d’être would always prevail, or maybe EMI really did understand the church’s art rock pretensions, because the choices they made actually suited us perfectly and allowed us to create our biggest artistic statement to date. Still, they couldn’t have imagined that we would deliver something so bleak and difficult to sell to the public. The consequence of all this was that the single bombed and the album failed to sell as well as expected. Kate Bush had the same scenario on The Dreaming; the singles were just too weird. Like Kate, we found ourselves with an underappreciated piece of art paid for by a corporation and in our case the label had made us into a cool underground band instead of a commercial pop group . . . by mistake. And it left them unable to do anything commercially with the monster they had helped create. Of course it was our music, our mood, our playing, Steve’s introspective Lou Reedesque vocal tones and obscure lyrical images. They were all ours, but instead of making all these elements accessible, enabling the general public to find their way through all these shadows, EMI just helped us go deeper down towards the caves, into the penumbra instead of the light. The coffin lid (!) was sealed with a brilliant album cover that appeared in one of the well-known Album Cover Album books (Third Edition, page 80). Roger Dean, David Howells and Storm Thorgeson began releasing this seven volume series of coffee table books starting in the early ’80s, compiling the best examples of album artwork to great success. Kim Sandeman took the cover shot. She was the girlfriend of Steve’s brother Russell at the time and was attending art school and studying photography. (Russell played harmonica on ‘Now I Wonder Why’). It seemed like a good idea to have her take the pictures of the band for the sleeve. The individual shots were taken at Steve’s house in Rozelle, a suburb of Sydney. He had a large wall inside the house that was decorated with the scene of a lush forest. Against this backdrop we each had our pictures taken and the photos were treated after the fact to give them that high contrast, solarized look. But it was the front cover shot that became an instant classic. It was a picture Kim had taken of one of her friends (Meg) for an art project. 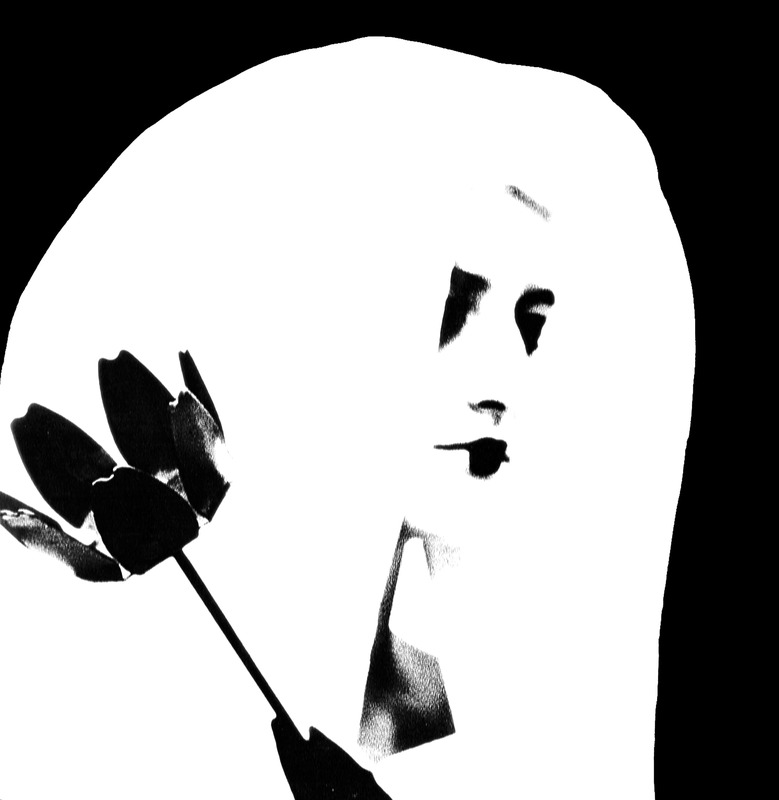 The shrouded pale figure with sunken eyes, holding a metal flower, a petal between her lips, was such a strong and evocative image that the band won fans and sold copies of the album by the power of the cover alone. Treated with a pink wash the artwork was complete. It was profoundly thought provoking and visually striking at the same time. 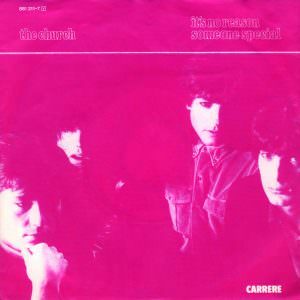 In Europe, Carrere released the album in exactly the same form except the cover was a vibrant turquoise blue, changing the effect but maintaining a striking image. Different editions of the album had varying tones of pink and some people may have bought the pale and another the hot pink versions. These distinctions between the shades caused constant dismay for completists. Just when you thought you had everything . . . The cover suited most of what was inside perfectly. Tracks like ‘Electric’ had my churning anvil Stratocaster riff and insistent 12 string arpeggio clanging along like a ghost tram on a deserted German strasse. Steve sung like the reincarnation of Ian Curtis, while the drums pounded like an automaton that couldn’t be switched off. For some reason this track was co-engineered by Christo Curtis. 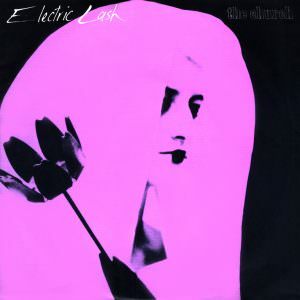 Other tracks such as ‘Electric Lash’ (the second single from the album) were less brooding than the cover art might suggest. But the gunfire drum rolls, oblique sounding words and the wash of the song’s solo and middle 8 section in a soft explosion of 12 strings and echo units, lessened its pop sensibility and seemed to reprogram the track for its new darker surroundings. 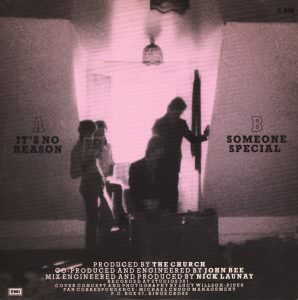 The video for this song was shot at night in the same location as ‘A Different Man’ from Sing Songs at Wiseman’s Ferry, some distance north of Sydney. In the video I was using a Shergold Modulater 12 string that I’d picked up some months earlier and used on the Sing Songs EP. It was an unfashionably cool looking guitar that became my spare 12 string for gigs. It was black with quite a small body and a light wood finish elongated neck and headstock. It’s hard to know how many people in an audience know the difference between an electric 12 string, 6 string or a bass, but when I played that Shergold they really knew it was something different. Rickenbacker 12 strings on the other hand, are harder to distinguish from a 6 string because of their more obscured machine head assembly. To the discerning listener, however, the sound would give it away immediately. Around this time Peter and I had both bought new guitars. Peter had found a 1959 black Fender Stratocaster and I had bought a 3-pick up 1967 6 string Rickenbacker that I also used on the Sing Songs EP. I had also found another beautiful Rickenbacker 12 string; a Rose Morris (export model), musical note F-hole, double bound, red sunburst, 1993 model from 1965 (serial number EB 157). This was my main guitar for years until it was stolen from our management office in New York City towards the end of the ’80s. I never really got over it and still mourn the loss. The Statute Of Limitations in the USA doesn’t even allow me to claim it even if I found it again. I also lost the Shergold and another custom-built Rickenbacker 6 string electric on the same night. I can’t really remember the acoustic guitars we used on this album. Perhaps one of them was the Eko 12 string acoustic I brought with me on the plane from England. I played the strumming acoustic guitar on ‘Disappear?’ one of Steve’s moody masterpieces. Tons of chords going backwards and forwards in unnatural patterns provided a landscape for the strong images in the opening line, “Like a womb, the night was all around”. And there was a line that typifies the intangible journeys of the church, “It’s like the fog you walk towards but never seem to reach”. There was another dreamy solo from Peter on the outro, played on one of his two Strats. I remember the black one being edgier and the white one cleaner so possibly this was the new black one. The other great songwriter’s song on this album is, ‘Now I Wonder Why’. It begins with Peter’s darting arpeggio, played through a very posh and, expensive for the time, AMS digital delay. The introduction sets up the mood of the song perfectly, preluding the vocal and electric 12 string. There is that gorgeous intertwining weave that is the church. Peter’s trademark driving guitar tone and Steve’s perfect snaky fretless bass empower the chorus with grand design. Included here are the two B-sides from the singles that were released from the album, ‘Someone Special’ (B-side of ‘It’s No Reason’) and ‘Autumn Soon’ (B-side of ‘Electric Lash’). The former brings to mind The Only Ones, who we’d been compared to in an early review in the English press. It was amusing to be reviewed later in the ’80s by some sad scribe who hadn’t done his research who stated, ‘You can blame The Smiths for crap like this’ or some such words. The English rock journalists didn’t quite know what to make of us. 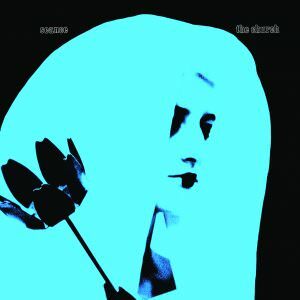 Nevertheless on release Seance entered the NME charts at number 42, although it was gone without a trace the next week. The only other significant territory that the album charted was in Australia where it reached number 13 but it didn’t hang around there either. It was as if all the committed church fans bought it in the first week of release but nobody bought it in the second week. 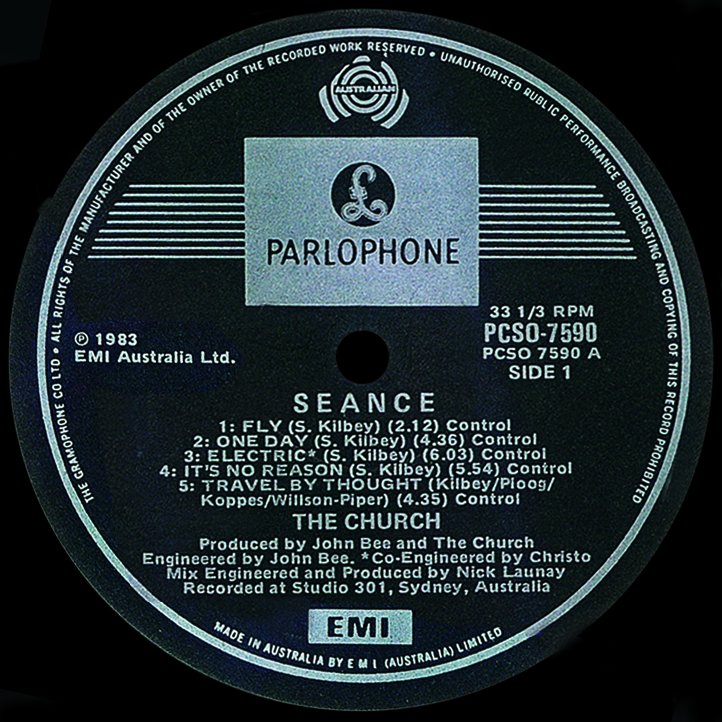 As Seance drifted into obscurity the band continued to play regular live shows all over Australia. The mood and instrumentation on Seance had encouraged us to hire a keyboard player for live shows. Steve had met a guy called Dean in Melbourne and he was the first of a series of keyboard players who have floated in and out of the band line up over the years. Richard playfully tortured him throughout his short stay in the band. One night he cut Dean’s tie in half with a pair of scissors before we went on stage. Dean took it badly and the band was back to a four-piece. Even though Seance had left little commercial impression in Australia, the audiences still came to see us. 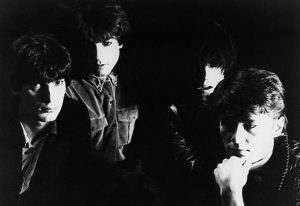 But we won them over as a driving dark machine more than a singles band. We accelerated into the future with mind numbingly loud and fast electric gigs that bore little resemblance to the sound of our albums. Interpretations of past hits swept by at lightning speed. The keyboard heavy songs from Seance had already begun to take a back seat in our live set as the constant touring drove us back towards loud Rock and Roll leaving little room for subtlety. Although EMI supported us through the next two EP’s (Remote Luxury and Persia), the next album would be our last for EMI. They never really got the faith back after Seance. In fact, they probably held onto us as long as they did because of interest from Warner Brothers in the USA who compiled and released those two EP’s in America as Remote Luxury. Carrere followed suit in Europe albeit with a cheaper washed out version of the cover, cutting corners on printing costs. The band had accepted that perhaps pop stardom as it had originally manifested itself might be fading as quickly as it appeared. The interest from Warner Brothers kept our hopes alive but it would be another two years before we returned to the studio to make a real follow up and three years since we felt we had any kind of control over how we were going to sound. No one could have predicted the acceptance we would later gain in the USA.